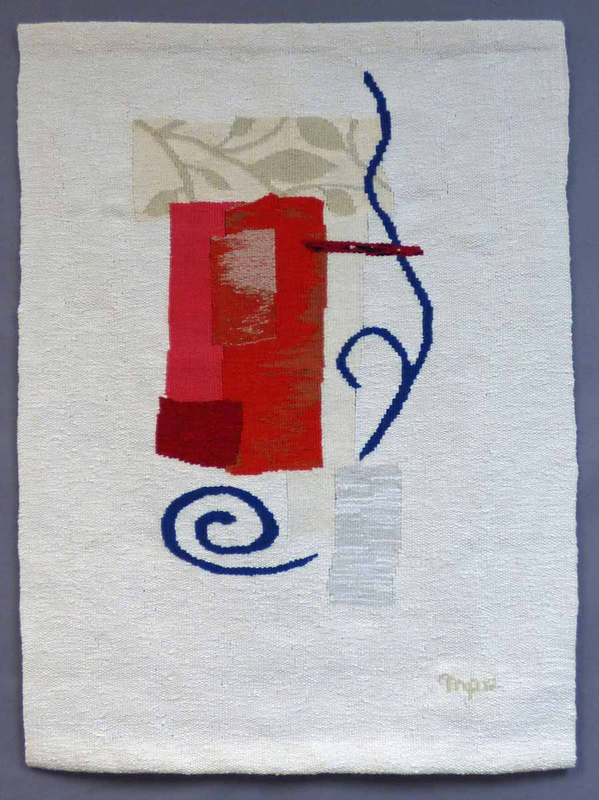 My approach to tapestry was purely accidental, Here I was at Cranbrook in my first year and I felt drawn to the floor looms in the Fiber studios and got started weaving. To me, the idea of weaving was much broader than making a fabric; it was fascinating in the sense that a combination of yarn and manipulating yarns can create such a versatile, solid outcome, and that variations in this simple lifting of warp threads and inserting of weft threads generated textural and structural differences in the cloth. This is how I stumbled upon tapestry and found out that the techniques I was using on the floor loom originated from tapestry. “Lantern” (detail) 43” x 25,” cotton, wool. Weaving to me is like building in architecture. 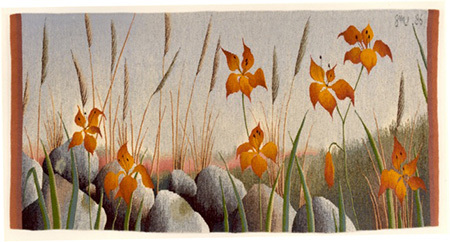 There are a lot of similarities and a certain analogy between the two art forms. 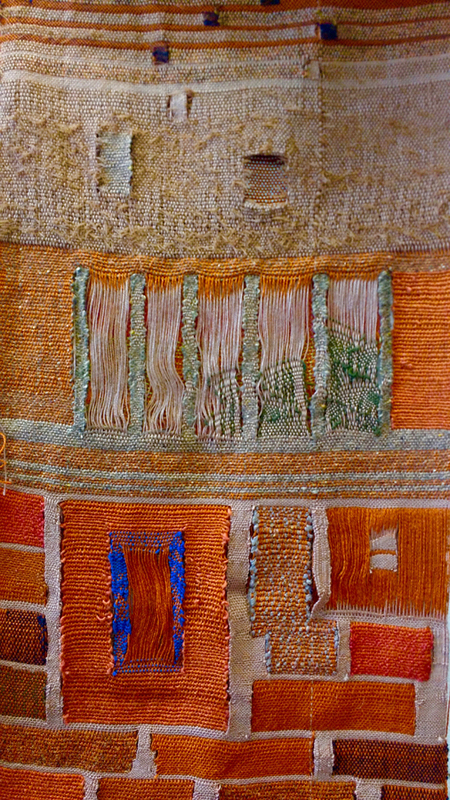 My weavings are explorations of this idea of building. 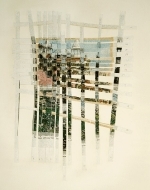 I often find myself trying to mimic the spatial and structural elements in architecture through my weavings. 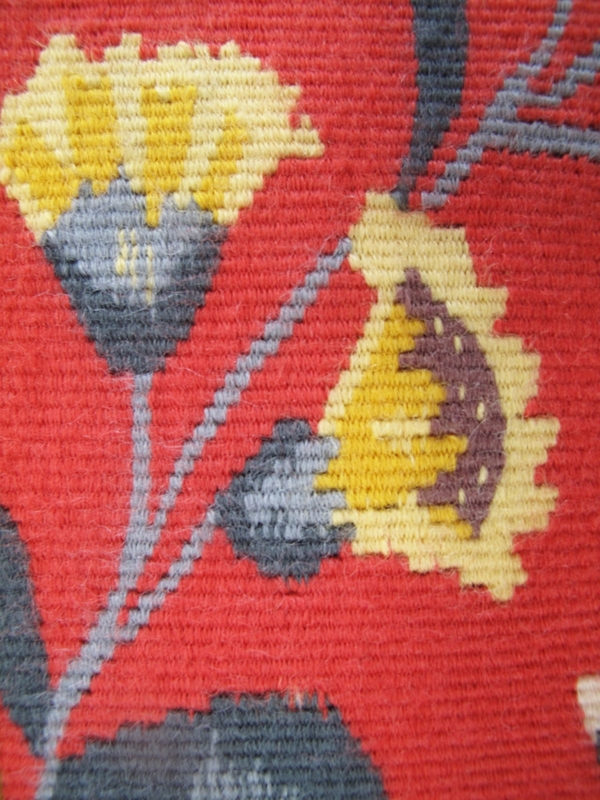 To do that, I embed tapestry techniques in my weavings. Exploring in between spaces was more interesting with double cloth where you weave two cloths at the same time and then each fabric can be either the same color or different colors or textures. I use openings in the top fabric to see the bottom fabric and vice versa. As hard as the process of making is, the outcome is much more interesting. 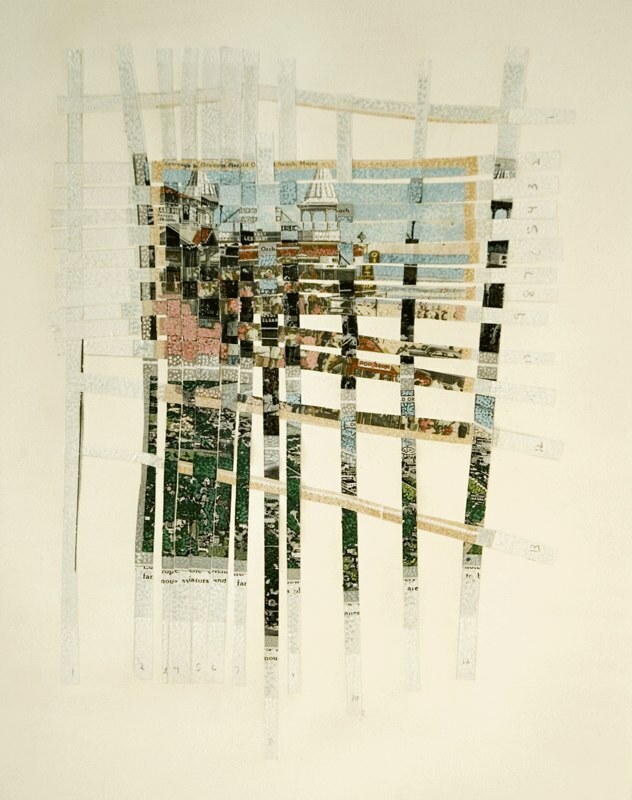 The openings are interpretations of my memories of buildings that I lived near as a child. I grew up in a city called Galle in the island of Sri Lanka, which had an iconic historical fortress build by the Dutch during the period in which they invaded parts of the island. 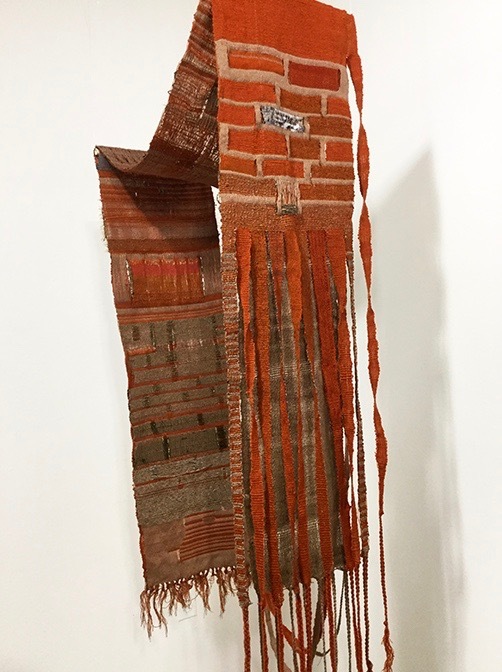 This fortress has small openings like port holes that give a small view to the other side that is very discreet and protective in nature and imparts a sense of mystery, which is what I try to explore through my weavings. “Arch,” 144” x 13,” cotton, wool. Recently the buildings that I’ve been living in, and encountering daily, have visible brick patterns. This has made me more aware of the fact that buildings are like weavings – combinations of tiny units repeated to generate a whole piece of architecture. Perhaps thinking of this made me start weaving brick patterns with yarn. 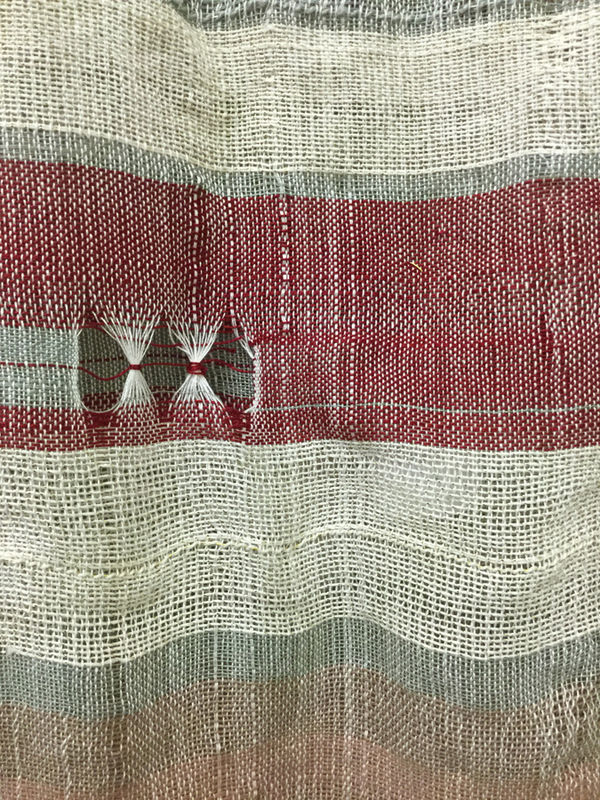 Again, I was interpreting the inside and outside nature of a building through a fabric using the double cloth technique. This was a very time consuming task and mind boggling as well. I was able to create the pattern and contrast with the colors as well, and insert various types of threads and textures in my woven bricks using tapestry techniques. “Arch,” (detail) 144” x 13,” cotton, wool. 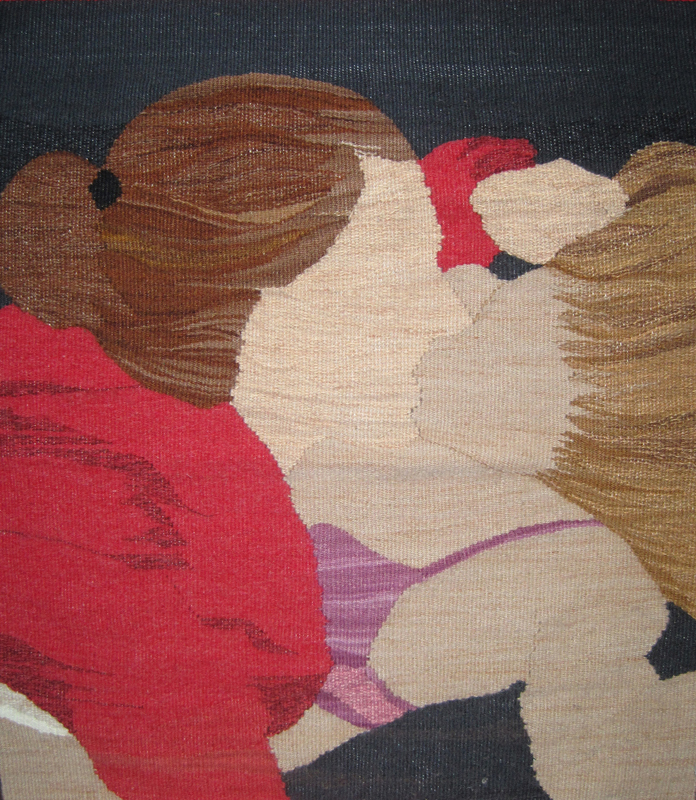 To me process is very important when it comes to tapestry weaving because process itself created many possibilities for me to build upon my practice. 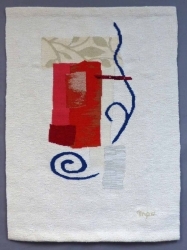 I experimented by exploring the process of plain weave, creating very simple variations each time I used it. I also like to repeat a technique several times to completely absorb it and then go back and reinvent it again. I like to take it to a very minimal and primary idea of interlacing fibers to understand what I want to do and where my work will lead me. This refreshes my mind. Regardless of the time and other material limitations what goes in and what comes out will always keep me fascinated with tapestry. 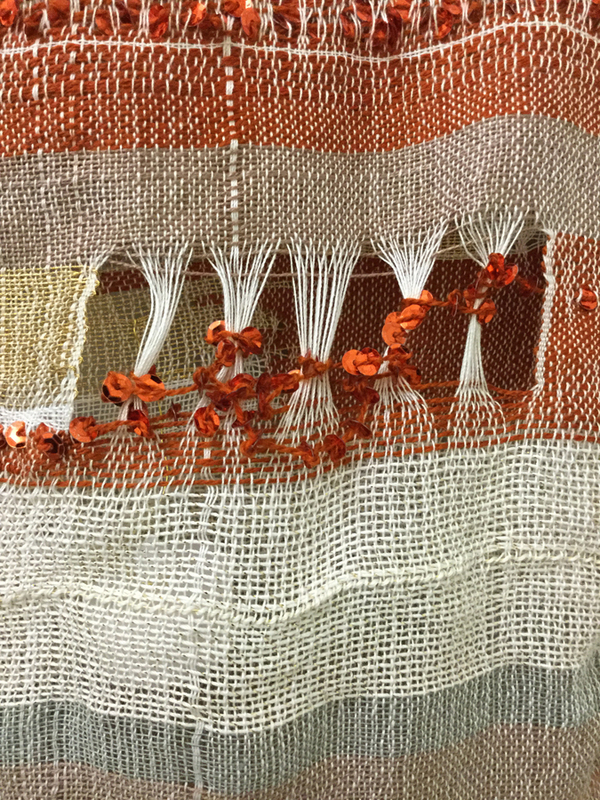 Prashani Chandrasena is a graduate student in Fiber arts at Cranbrook Academy of Art. She will receive her MFA in 2018. Prashani is originally from Sri Lanka and moved to the United States after completing her Bachelor of Design in Fashion and Textile Design. 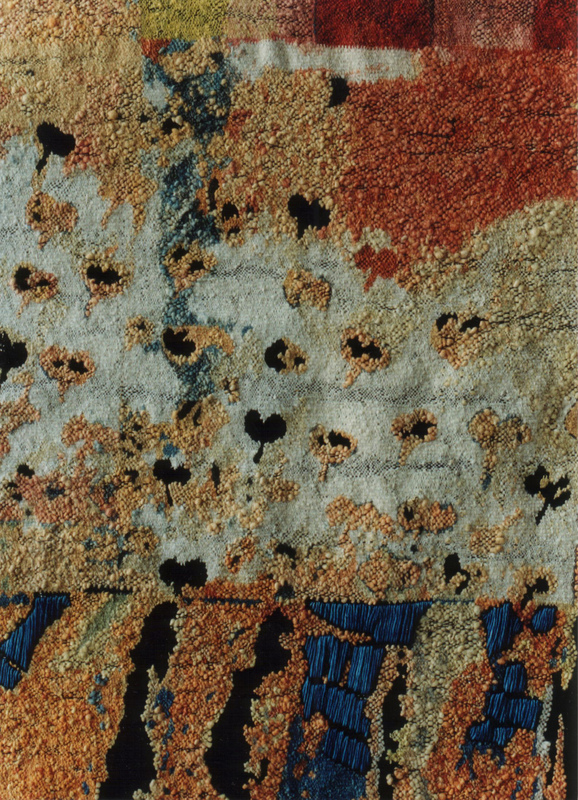 Her work has been published in magazines in both Sri Lanka and in the U.S. Apart from weaving, she also works in other media in her fiber art practice. While most of her ideas and inspirations have a relationship to architectural concepts, her work is fueled by a multidisciplinary approach incorporating both the art and design fields.